You don’t need to have a cold to be able to enjoy this popular pick-me-up and all-around soother. 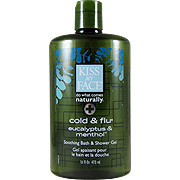 Our Cold and Flu Bath and Shower Gel is the perfect day-starter or antidote for those under-the-weather blues. Created with time-tested botanicals like Eucalyptus, Fennel, Horehound and other aromatics. To soothe the skin we've added Olive Oil, Aloe Vera, and Allantoin. 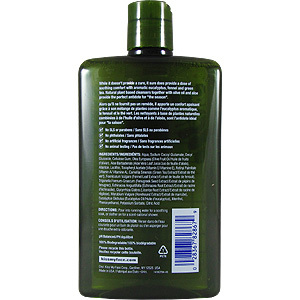 Cold & Flu Soothing Foaming Bath & Shower Gel - is shipped in a discrete, unmarked package. Orders are processed immediately and usually take about 3 to 5 working days to be received. We do ask that you try it for 2 to 3 weeks to feel the full effects. Any information received is used only for order processing and shipping purposes. Your information, such as e-mail address, will never be disclosed to a third party.